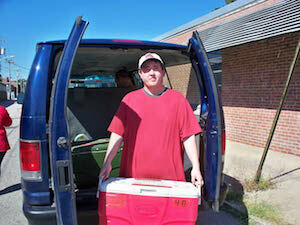 Behavioral Associates of Massachusetts, Inc. - The Halcyon Center’s Vocational Supports Program is a community based, supported employment, vocational training program which focuses on independence and self-management for adults with disabilities. Behavioral Associates of Massachusetts, Inc. - The Halcyon Center provides a secure and stable learning environment that promotes independent behavioral control, utilizing positive programming, informed choice making, and problem-solution oriented skills training. 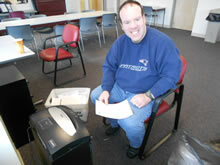 Behavioral Associates of Massachusetts, Inc. - The Halcyon Center employs Positive Programming. Behavioral needs are addressed using the Relaxation and Imagery training methods developed by Drs. June and Gerry Groden, and the late Dr. Joseph Cautela. These methods focus on an individual's control of their physical and cognitive responses to their own personal stressors. These methods have been found to be effective for anyone, not just people with disabilities. Behavioral Associates of Massachusetts, Inc. - The Halcyon Center believes in promoting to the greatest extent possible, the utilization of natural reinforcement contingencies and incidental learning to help shape pro-social behavior. Each individual learns the skills needed to navigate through their day with as much support as necessary, but without promoting an over reliance on staff. 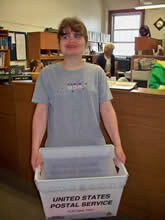 Behavioral Associates of Massachusetts, Inc. - The Halcyon Center Vocational Programs are community based – There is no sheltered workshop to attend. The community based programs include part-time work in competitively employed positions, paid positions sponsored by the Behavioral Associates of Massachusetts, Inc. - Halcyon Center, volunteer opportunities for community organizations, and recreational activities. Vocational supports include vocational skills assessment, job identification, job placement and training. Skills associated with successful vocational development are also provided, including social skills, communication, relaxation and imagery training.